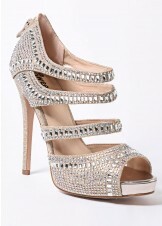 We offer a wide selection of shoes for prom, weddings, graduation, and other special occasions. We sell styles from all your favorite designers at prices you can afford. Our selection includes everything from daring platforms to strappy sandals to classic pumps to chic slingbacks and everything in between. Use this page to shop by designer!